Being a tenant can sometimes be daunting, especially if you are unsure of what the rules and regulations are associated with leasing a property. Bailey Devine have created a list of frequently asked questions and answers along with other useful information that will be helpful to you along your journey. If you see a property that we have that you are interested in, and have specific questions please give us a call and we be more than happy to help you out. QWhat is the Residential Tenancies Act? 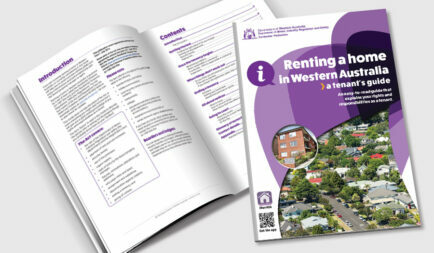 The Residential Tenancies Act (RTA) is legislation by the Western Australian Parliament to regulate the relationship between owners and tenants. It was first established in 1987, but was modernised, updated and amended in 2013. It establishes the rule of law to ensure the business relationship between the property owner and the tenants is fair and reasonable to both parties. It applies rights and responsibilities on both parties that must be adhered to. The most recent amendments to the RTA came into effect on 1 July 2013. QWhat do I do once I find a property I’m interested in? After viewing the property, you can then make an application for it using standardised forms. These will be provided by the Bailey Devine Real Estate Property Manager. The application form requires you to confirm your identity, provide references and referees, provide evidence of your financial status and to commit to the terms of the agreement as explained to you by the owner and Bailey Devine Real Estate Property Manager. The application also provides you with the opportunity to put forward any special conditions you want included in the lease agreement as well as consider any special conditions the owner may want to include in the lease agreement. QWhat happens after I have sent through the application? Once the Property Manager has processed your application, we will consult with the owner of the property, usually within one or two days, you will be contacted and advised of the outcome. If successful, you can then decide to meet with the Bailey Devine Real Estate property manager to sign a Lease Agreement. You will also be required to pay two week’s rents in advance, plus a security bond of four week’s rent. If you are permitted to keep a pet, then your security bond can be increased by an extra $260. QWhat is a lease agreement? A lease agreement sets out the terms and conditions of the lease. The owner via the Bailey Devine Real Estate Property Manager and the tenants agree on matters such as the amount of rent per week, when the rent will be paid, the method of paying the rent, the number of people who can live in the premises, whether pets can live at the premises, the length of the lease and payment of electricity and water consumption. QHow much notice period is required on a fixed term tenancy? Up to the end of the fixed term tenancy agreement the tenant or the owner must provide 30 days’ notice to either party. If both the tenant and the owner provide different notices, then the earlier of the two dates will apply. If no notice is given prior to the expiry date of the fixed term tenancy, then the tenancy will continue as a periodic tenancy until either party wishes to terminate the lease. In this instance, the tenant is required to give 21 days’ notice and the owner is required to give 60 days’ notice. QHow often are my routine inspections? Routine inspections are conducted once within the first six weeks of a new tenancy and every 12 weeks thereafter, however not more than four times each year. Routine inspections are conducted between 9am and 5pm Monday to Friday. Our Bailey Devine Real Estate Property Manager will negotiate a suitable time with the tenants to perform the inspection. QWhat is considered reasonable wear and tear in a rental property? This is a common question that is difficult to answer as it always depends upon the set of circumstances. Changes which happen due to the natural ageing of premises or their fixtures or fittings. Worn carpets from day-to-day use. QCan I request my final rent inspection be conducted prior to the end of the 30 days’ notice if I have fully vacated the property? Yes, there is nothing to prevent a final property condition report being prepared before the official tenancy end date. However, your responsibilities would not come to an end until the agreed date. It should also be noted that even if you have vacated the home, an inspection has been carried out and the report prepared, it would still be prudent for our Bailey Devine Property Manager to return on the last day to ensure that the condition had not changed. The equivalent of four weeks rent is required as a Security Bond (held for any damage to the property during tenancy). When vacating the property, if the property is left in the same condition, less fair wear and tear, then the deposit will be fully refunded back to you. $260 bond is required as security bond if you have a pet (this must first be approved by the landlord). It is important to take the time when viewing properties to ensure that you don’t rush your decision. The property you choose, needs to suit you both financially and practically. Important factors to check is the local schools, proximity to your workplace and facilities in the area prior to placing an application. When viewing a property, we suggest that you make sure that everything you require is in working order and if there are any problems, enquire to make sure the landlord intends on getting these issues amended prior to you making an application. Remember that you have neighbours — sometimes very close neighbours. Think about how your actions might affect them. Would you appreciate a loud party the night before you need to make a major presentation at work or before your final exams? Just try to be considerate. When you sign your Residential Tenancy Agreement you agree to pay your rent on or before the due date. If at any time you are unable to meet your rental payment commitment, please make immediate contact with your Bailey Devine Property Manager. Any maintenance requests must be submitted using our “Request Maintenance” located on the Renting Tab. When submitting a request please provide a detailed description of the problem and any photos to assist in an efficient and effective solution. We are committed to responding to any required maintenance in a professional and efficient manner. For any urgent maintenance please contact your Property Manager on 08 9396 0900. Bailey Devine Real Estate encourages you to arrange for your own contents insurance at your new home. Ensure to include furniture, sports gear, jewellery etc. Start preparing early – As soon as you are notified of the inspection, start to do the little things to prepare. Write down any items to discuss – If there are any minor items that you would like the owner to address, make a list and we can discuss in detail. Don’t let maintenance issues build up around you. Thoroughly Clean – Maintaining the properties cleanliness is crucial to help ensure a smooth rental experience and makes vacating easier when the time comes. We take several photos of the property to report back to the owner so keeping a clean house is essential. Pets – As we will need to inspect the back of the property, it is a good idea to ensure that you are home for the inspection. This will save the stress on your pets of having a stranger in their house. Alternatively ask for a friend or family member to take care of them for the day. All maintenance & repairs are required to be submitted to your Bailey Devine Property Manager in writing. Please complete the fields below with a detailed description of the problem and any photos to assist in an efficient and effective solution. If you are currently renting a home in Western Australia, or currently considering it, this Guide will help you to avoid common renting pitfalls and enjoy a harmonious and lawful relationship with the lessor/property manager or agent. This Guide does not take the place of the Residential Tenancies Act 1987 (the Act), or cover everything you might need to know but it will give you a good working knowledge of your rights and responsibilities as a tenant.